Reputed to be the secret war room of Lord Louis Mountbatten during the height of the war, the stately Mountbatten Bungalow is a carefully restored home that transports guests back to the colonial times. Set in a sprawling compound measuring six acres, the villa is nestled away in a scenic and tranquil environment, and enjoys a prime location within close proximity to the town of Kandy. 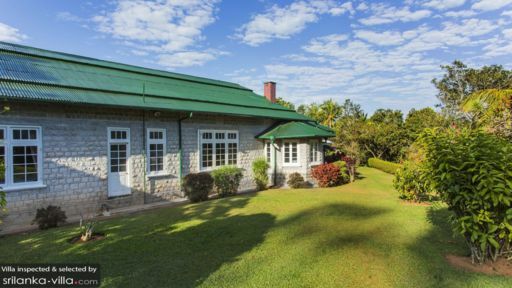 The ideal choice for large group retreats, Mountbatten Bungalow features four bungalow rooms, two suites and six garden chalets. All bungalow rooms and suites come fitted with an in-house library, tea and coffee making facility, mini bar, air conditioners, TV set with international channels and private en suites with bathtubs and rain showers. The six garden chalets are a new addition to the spacious property. Each are built to offer a full range of modern amenities in a charming, old-world colonial setting. Spread out across the estate, each standalone chalet offers ultimate privacy and tranquility. All chalets come fitted with an in-house library, tea and coffee making facility, mini bar, air conditioners, TV set with international channels and private en suites with bathtubs and rain showers. 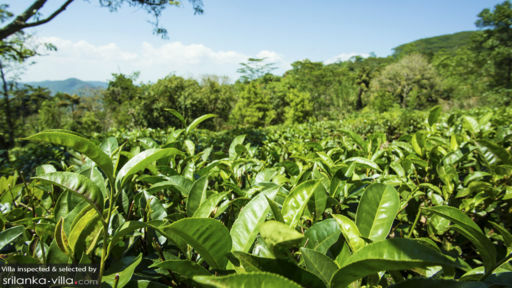 The extensive grounds, made up of neatly manicured lawns and tea gardens, measures a whopping six acres. Choose from one of the two tea gardens to enjoy a leisurely morning stroll, or freshen up with a cooling dip in the infinity pool when the inevitable post-lunch languor hits. The cavernous living spaces at Mountbatten Bungalow are furnished in the style of traditional Victorian homes. Oozing a vibe of understated elegance, each of the common spaces feature beautiful hanging lanterns, fireplaces, wall ornaments and darkwood furnishings. The highlight of the home is the generously proportioned dining room, with its immaculately buffed cement floors, tastefully decorated walls, multiple dining sets and large windows framing the room - the perfect setting for a fine dining experience! Never be worried about conveniences in this mesmerizing green-surrounding villa. A total of 12 staffs will be ready to ensure your cozy staying experiences. Such as laundry service and massage treatment are also available at additional cost. 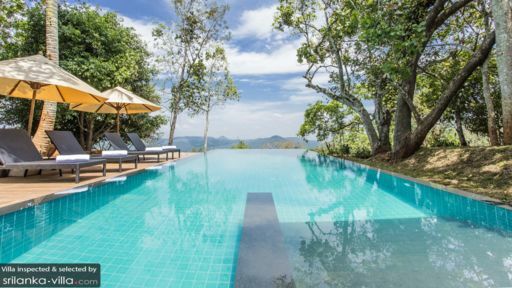 Set in Heerassagala, the villa is a 15-minute ride away from the town of Kandy. A plethora of fascinating attractions are located nearby, and sites like the Temple of the Tooth Relic, Peradeniya Botanical Gardens, Knuckles Mountain Range and Pinnewala Elephant Orphanage come with our recommendations. Enlist the help of your villa manager for assistance when planning your outdoor excursions.